Action Sheds Australia takes pride in the top-notch products and services that we offer to our current and future clients. We have made it our goal to provide people with the things they need, when they need them. That is why we continue to use steel and other construction materials that are only made of the highest quality, and nothing less. People who deal with us can rest assured that we will be able to provide them with the necessary structures that they require, whether it may be garages, hangars, stables, barns, sheds or others. In fact, we are that confident with our ability that we have included a 10 year structural guarantee for our Endurance Structures. Aside from durability, you can also rest assured that we will deliver high-quality structures that will not only get a good grade in efficiency, but aesthetics as well. Actions Sheds Australia’s clients will also be able to benefit from the warranties offered by BlueScope Steel, based on certain conditions. Notably, such warranty extends to all Colorbond and Zincalume products. This warranty extends for 10 years and is applicable to any defects in the strength, durability or quality of BlueScope steel materials. It is important to note though that there are different warranties applicable to different BlueScope products. Accordingly, it would be more viable if you are able to look into each of them, in order to get a clear glimpse as to the benefits and advantages that you will get to enjoy. Durable structures that comply with the needed industry standards and regulations, thereby ensuring safety, reliability and efficiency. Construction materials that have undergone the needed research, development and testing, in order to keep up with the latest industry advancements, as well as to keep users as safe as they should be. Reasonable warranties assuring clients that they will get fair solutions in the unlikely event of unforeseen problems and issues. 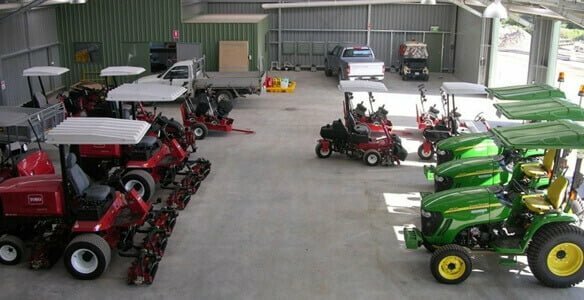 Do you want reliable sheds, garages or other structures from a trusted Perth company? Call 1300 778 628.